Plastic Martini Glasses – Acrylic Martini Glasses: Our plastic reusable martini glass series features seamless, shatter resistant plastic. 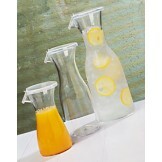 Our martini glasses are commercial restaurant grade. 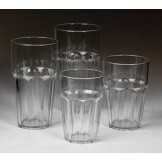 Please feel free to browse our entire line of plastic martini glassware and plastic martini drinkware. 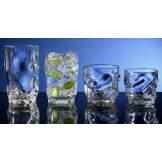 Fun Facts - Martini Glass: Most Martini glasses have a distinct V-shaped for enabling the drink to stay chilled without ice. 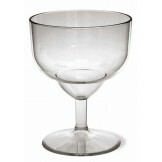 The martini glass is also named the same as the drink it was designed to hold - martini. 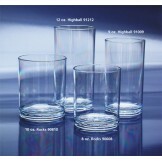 Before the martini glass was invented is was simply called a cocktail glasses. 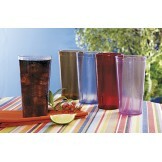 e-mail us at info@kanokorn.com to request plastic martini drinkware samples. Please include product sample desired, your name, address and phone." 3 oz. 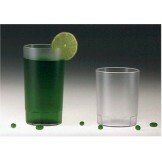 Plastic Martini Glasses (2 Case/48 Glasses) - Our Very elegant plastic martini glass..
6 oz. 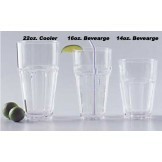 Plastic Martini Glasses (24 per Case) - Our Very elegant plastic martini glasses truly ha..
10 oz. 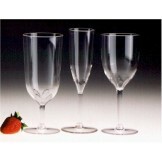 Plastic Martini Glasses (24 per Case) - Our Very elegant plastic martini glasses truly h..
10 oz. 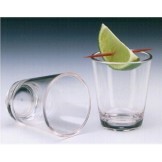 Plastic Martini Glasses (24 per Case) - Plastic Martini Glass - Commercial Grade plastic..